  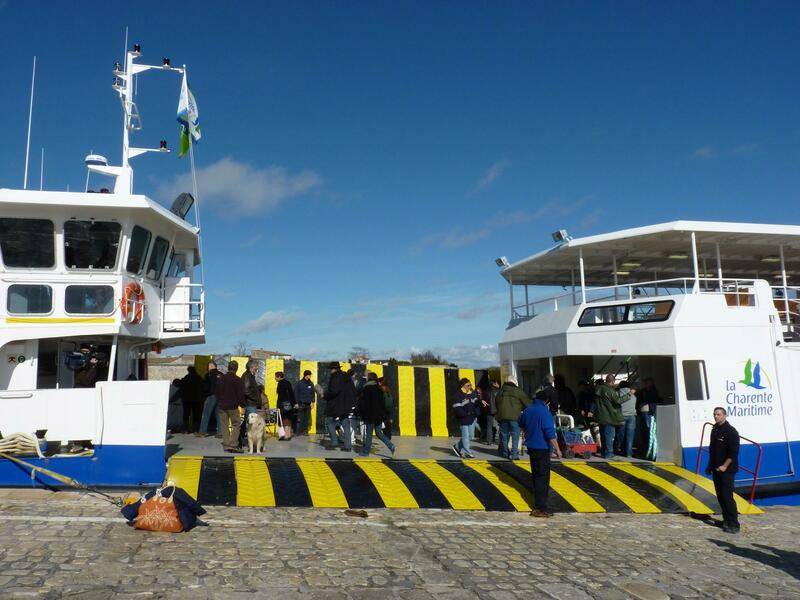 All year round our captains and their crew will be pleased to welcome you aboard direction Ile d'Aix. 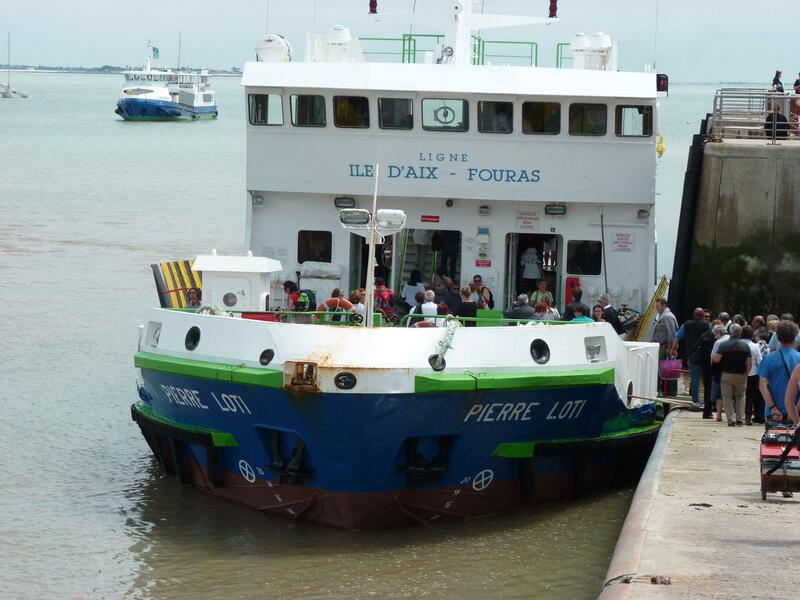 Departing from Fouras-Pointe de la Fumée a comfortable 20 minutes cruise on board one of our two vessels will enable you to discover our island. 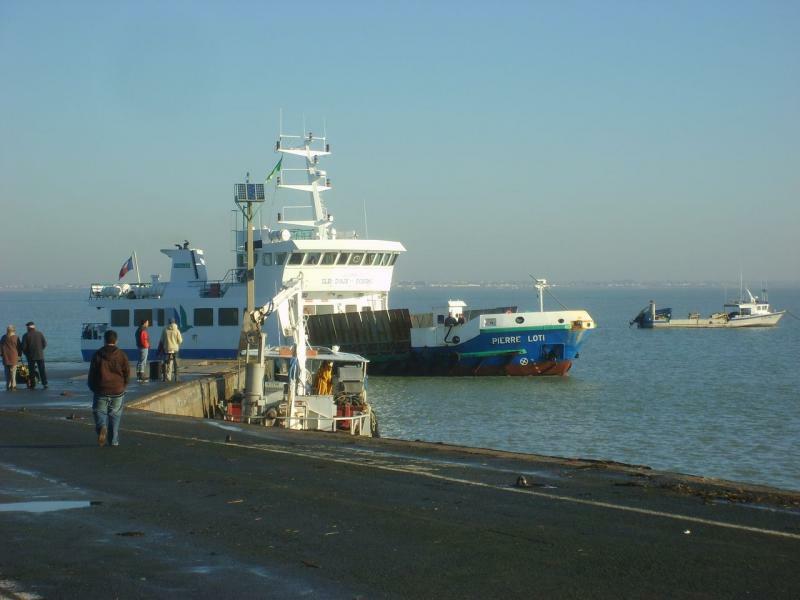 Once ashore of this dream-island and children's paradise, no cars allowed (but for a few locals) let yourself be carried away by its beautiful scenery,flora and fauna. 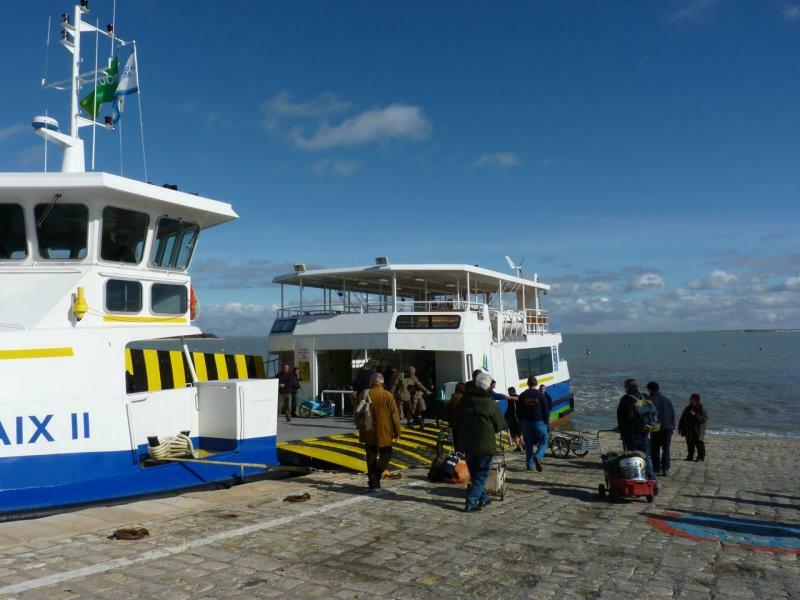 Discover the hospitality of the locals who will enjoy telling you about their island's history. 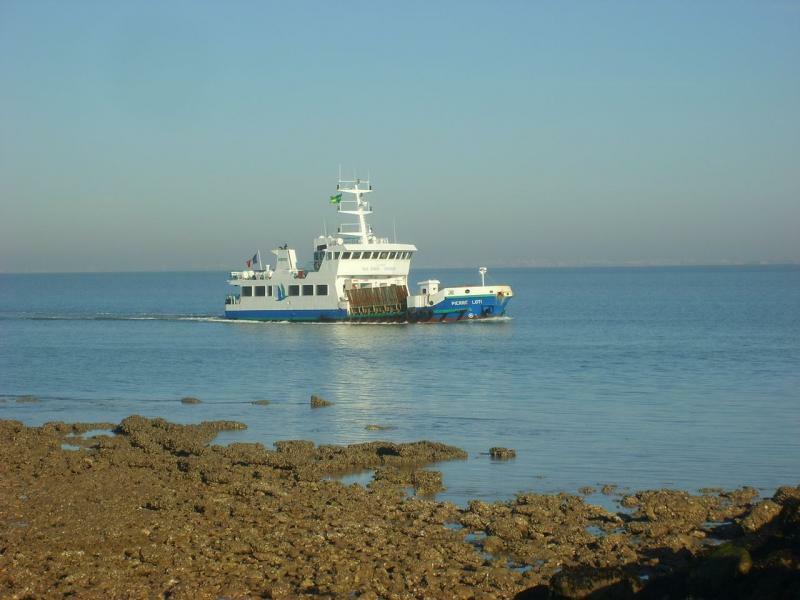 Enjoy the pleasant experience of living by the rythm of the ocean. 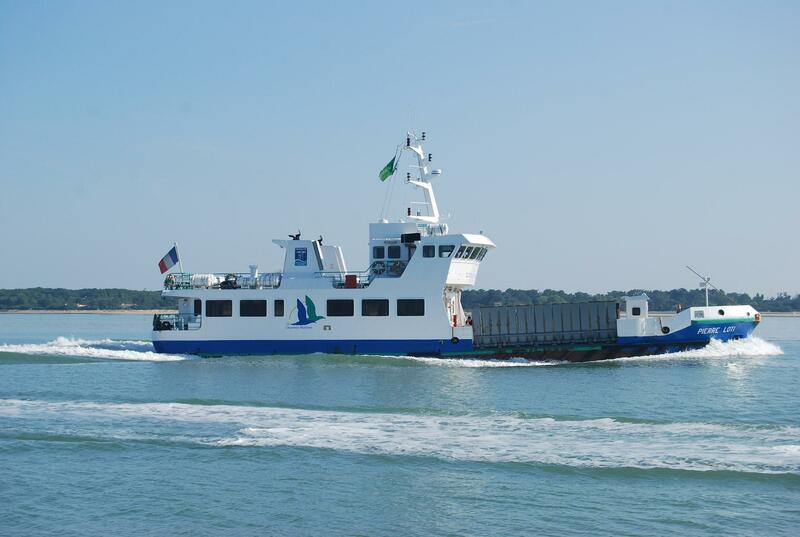 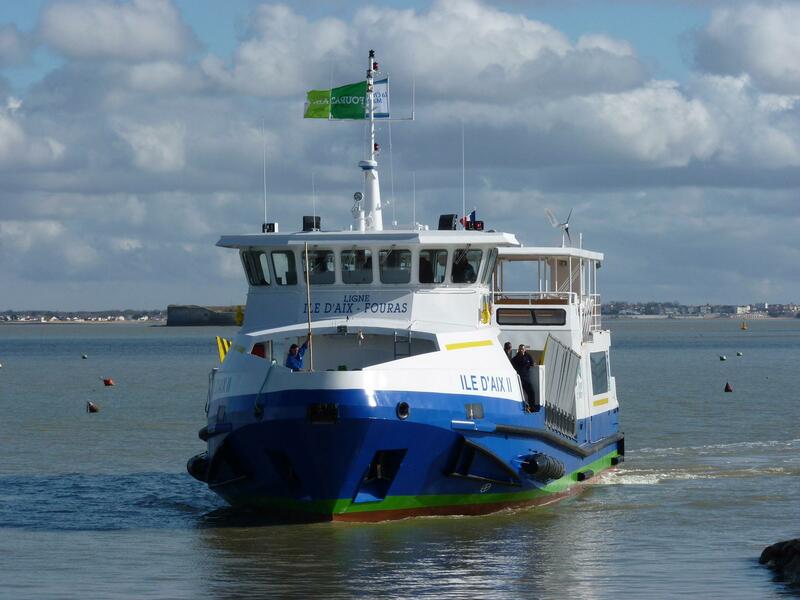 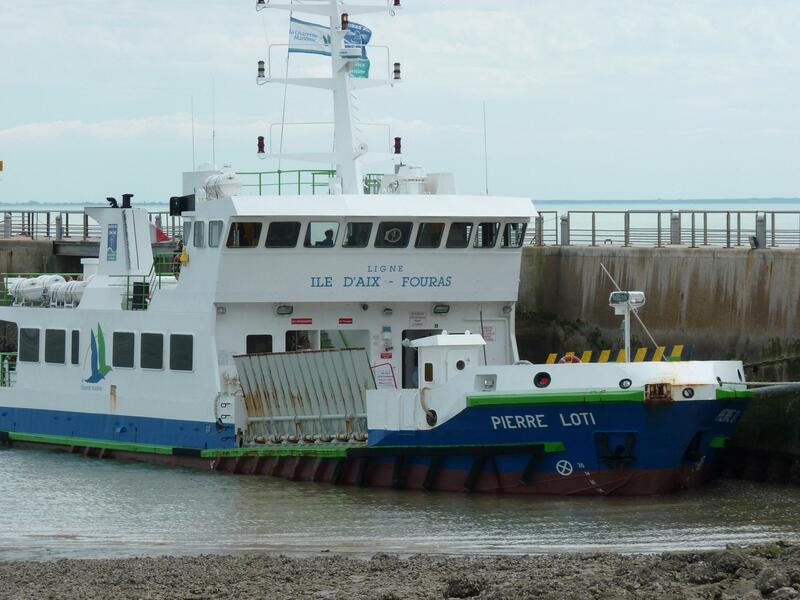 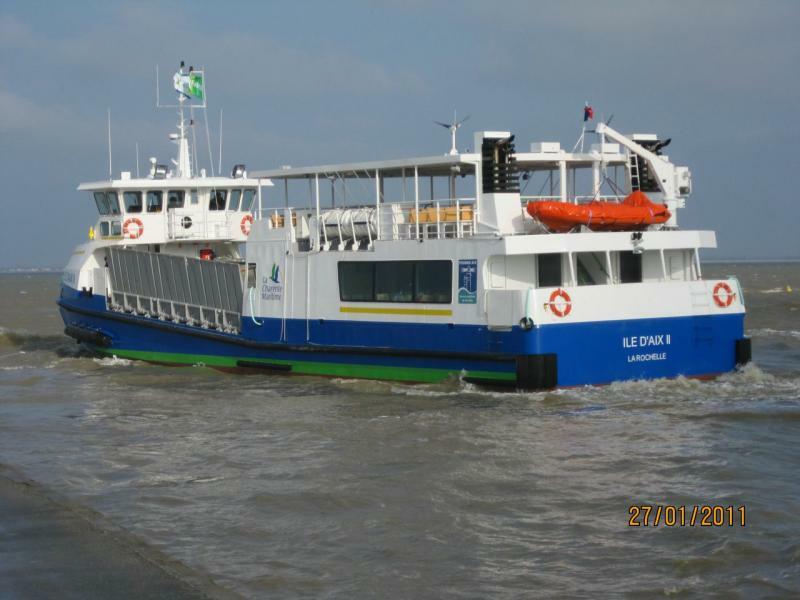 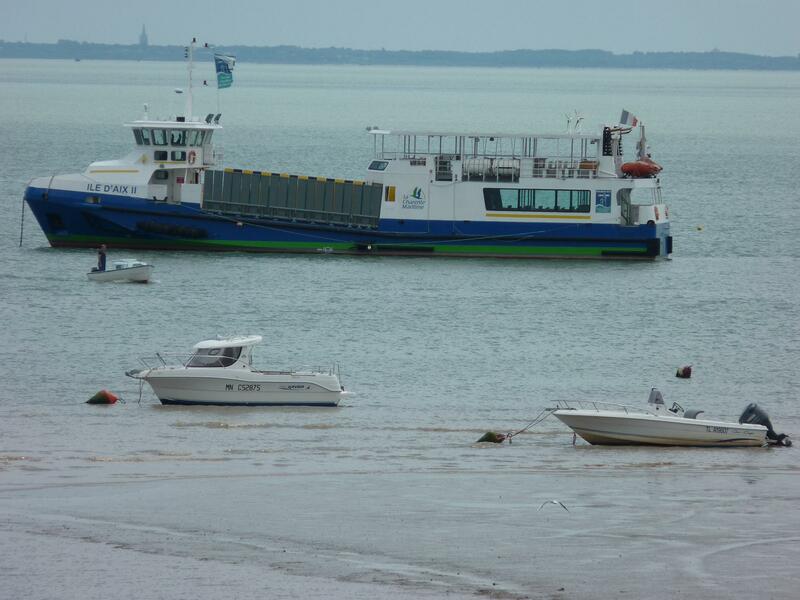 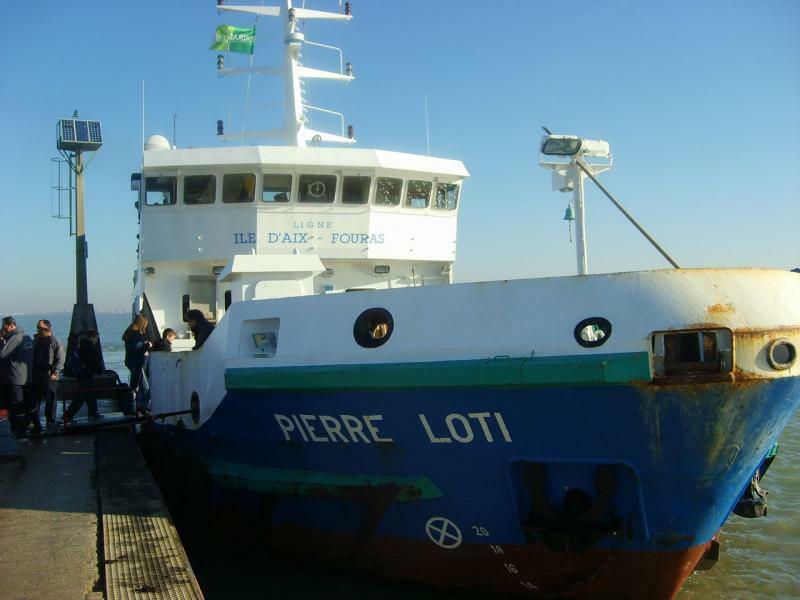 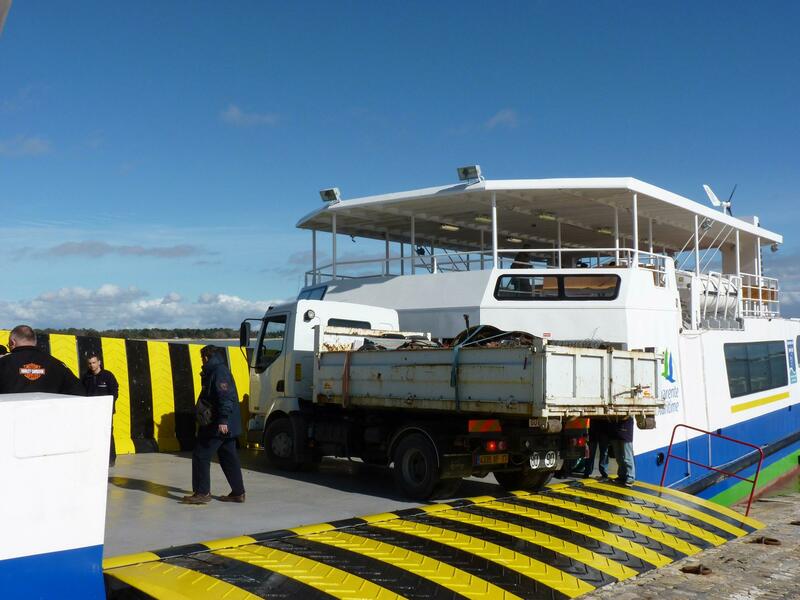 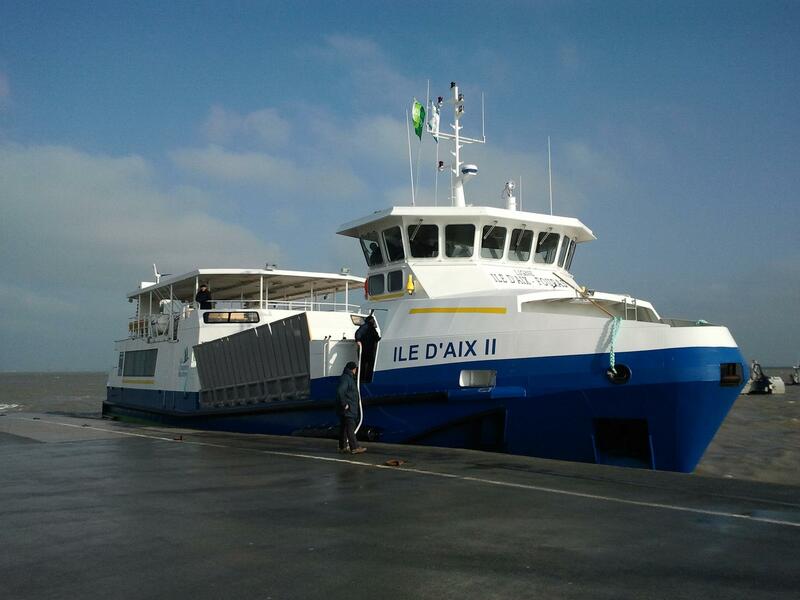 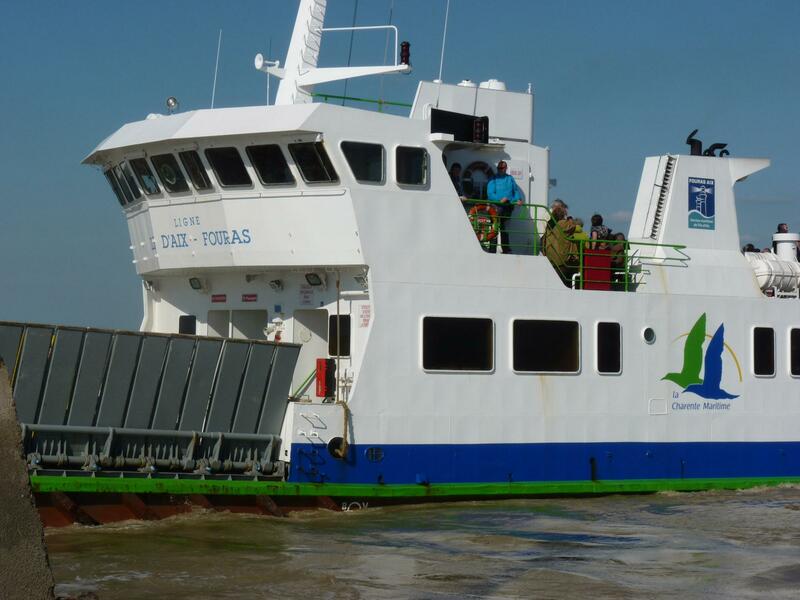 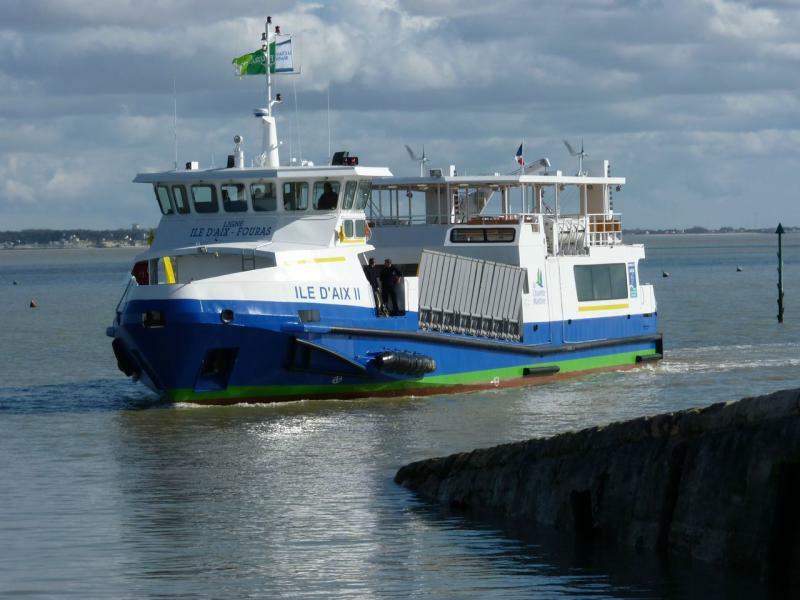 Three crews and two ferries ensure the daily connection Fouras – Aix and vice versa during the tourist high season. 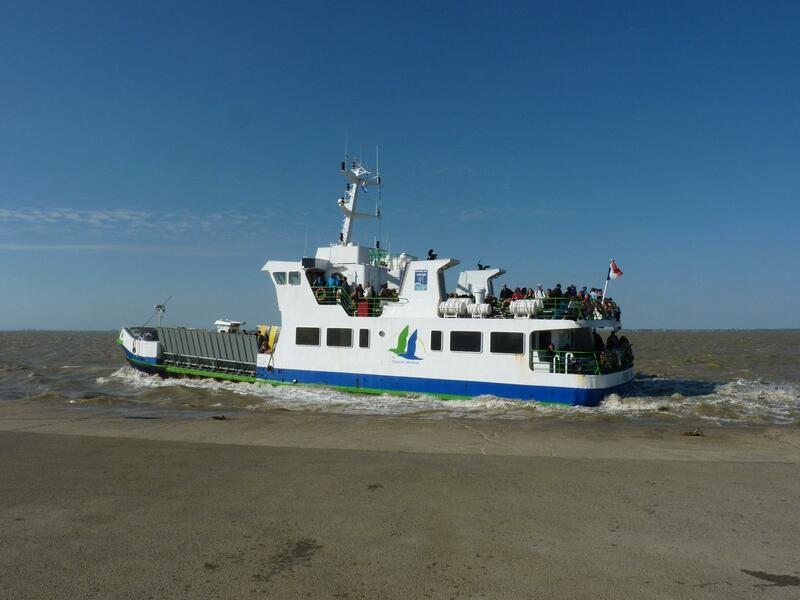 Every year more than 6 400 crossings are made with a total of 187 000 passengers and 13 000 bicycles.